Turning on her heel, she noticed that Jake had pulled his white dress shirt out of his pants. Before he could begin to unbutton it, she moved closer to him and brushed his fingers away from the tiny buttons. “Let me,” she whispered against his lips. She heard a deep intake of breath and couldn’t contain her smile. Charlie took her time undoing each tiny pearl button. Between each one she placed a gentle kiss on his lips or caressed his arm or back. The change in his breathing let her know her actions excited him. As she trailed a hand down his chest she wondered just how long she could tease him before he turned the tables. Jake didn’t give her the opportunity to do anything else before tearing his arms out of the shirt as soon as she slipped the final button from its hole. The white t-shirt he wore underneath immediately followed, both of them quickly landing in a pile on the floor. Jake with clothes on was gorgeous, but half-naked he was simply a sight to behold. 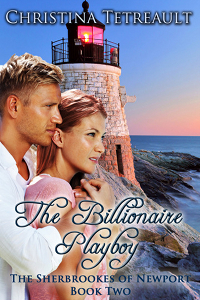 Unable to stop herself, she ran a hand over his powerful chest then down his sculptured abs. She felt his abs contract and a new feeling of empowerment flowed through her. Without pausing she let her hand travel down further toward his belt buckle. With deliberate movements she undid the buckle making sure her hand brushed over his erection more than once. He began by pulling the pins from her hair. Once the twist she’d fashioned was gone, he slid his hands over her bare shoulders and back to the zipper of her dress. Inch by agonizing inch Charlie felt the zipper move downward until the only thing holding the dress up was the fact that her body was pressed tightly against Jake. “I think it’s time we get rid of this.” As Jake whispered in her ear he took a step back and the dress began to fall away from her body. Determined to remain calm, she fought the unexpected urge to grab the dress and yank it back into place, and when the dress hit the floor around her ankles she deliberately stepped out of it. Her heart pounded an erratic rhythm as she stood there in nothing but her white lace thong, strapless bra and heels. Despite her discomfort she never once looked away from Jake’s face. The raw desire she saw on his face as his gaze slowly and seductively slid down her body extinguished any fears and replaced them with a burning desire that set every inch of her body on fire. Her entire body craved his touch and she wanted nothing more than to fall into the bed behind them, wrap her body around his and satisfy her craving. With every intention of doing just that Charlie took a step toward him, but Jake reached for her first and held her in place. Slowly his eyes traveled from her face down to her feet and then back again. As his gaze moved over her it left a trail of pulsing excitement behind on her skin. Whether because of his compliment or the way his eyes devoured her, Charlie’s confidence grew stronger. Before she could rethink her decision, she undid the tiny hooks at the back of her bra and tossed it on the floor. At the sound of Jake’s sharp intake of breath she smiled. Before she could do or say anything else he closed the gap between them and scooped her off her feet.